You can work Hard, you can work SMART, or you can work RIGHT!! HOW DO WE REALLY EFFECT NECESSARY CHANGE IN OUR BUSINESS LIVES AS REAL ESTATE PROFESSIONALS? Hi everyone, Happy Saturday, we successfully made it to another great weekend!! Summer is fading here at my house, the smell of Fall is creeping in, Carol and I jumped on the Goldwing Thursday night at about 8:00 and rode out of the city for dinner. I needed a break, my brain was aching, a change of venue was a well needed respite. We rode out towards the mountains in to a beautiful western sunset over the Rockies – the sky was red and clear, the temperature was perfect and there was distinct smell of Fall in the air as we rode along the Elbow River. It was beautiful. You don’t have to be a rocket scientist to sense the end of Summer and the seasonal change in the air. In our neck of the woods, Western Canada, that seasonal change culminates with the arrival of Old Man Winter, makes me shudder just thinking about it. It’s been a great summer this year, a little wet early on but nice for the past 45 days or so. I’ve been known to stock up my office at this time of the year because all the stuff I need and use regularly is available and probably on sale due to a bulk purchase by the retailer, especially paper, something I go through like crazy. I just peruse the newspaper and the flyers on Thursdays (flyer day here), find the deal that makes the most sense to me (within a reasonable drive of my home office), and go get what I need. Simply, I want what I want with the least amount of driving, stress, and hassle. This proves that I’m a perfect example as to why my Real Estate direct response marketing works as well as it does. Yup, those stationary retailers are able to create a sale WITH ME because of the effectiveness of THEIR marketing efforts/pieces. It flies right in to my reticular activator (every prospect in need has this ticking away in their brain by the way) and I react based on what I NEED!!! My first consideration in the search ISN’T where it is, it’s the fact that I can get it now really easy and plentifully. Sound familiar? Think this through in light of your lessons with Craig…I’m a PROSPECT in NEED (as are millions of parents with school age kids this week) and I simply react when I see what I need made available to me. It plants itself in my brain and I go for it. By the way, in my case, I DON’T shop on-line for those supplies, I let the marketing come to me in print form and react when I see what I need. If you think about it, you probably are the same as me, looking for a solution to a need and allowing the marketing to present solutions. (How ,many of you are affected this week by the release of the iPhone 5S – you MUST have seen the pre-order marketing that’s everywhere) Interestingly, over at Staples where I did by 2 boxes of paper, EVERY parent was walking around with a STAPLES FLYER in their hands, not an iPad or a smart phone! Don’t tell me print media isn’t effective anymore, September is Christmas for Staples, no question!! So, in that vein, let me ask you, How are YOU doing with the MARKETING facet of your business? C’mon, be honest…How’s the Lead Generation shaping up? Are you taking to heart and using the training, advice, and tools Craig has provided you to excel at this in your world. Are you doing it (working ON your business) every day, every morning, as I’ve suggested? I hope so, especially if you are looking for a better way, a more profitable way to be a Real Estate agent. In our business, settling for average wages – $40-$50,000 / year is UNHEARD of and completely unnecessary. But yet the vast majority of real estate barely earn POVERTY levels! Yes it’s true. It’s scary!! The other day on a WEBINAR, we pulled up the stats for agents in a particular large metro market, and Craig and I were shocked that over 50% of the agents in that HUGE metro market (10,000+ agents) had only done 1 (one) transaction so far this year (2013) and another 20% had done less than 4 deals! That proves what I said earlier so watch out – Poverty earning levels are alive and well in Real Estate! Over the years I’ve heard every excuse in the book as to why members can’t/haven’t/won’t get it going to create lead flow into the real estate machine. Yup, heard it all. At the end of that discussion, it’s always the same… ”Rick, I just need some closings, what should I do?” Really? REALLY? Excuses are just that, excuses. You need closings? You need listings? You want buyers-in-waiting? You want MORE clients? Then do something to get them to raise their hands asking YOU for aid. IT’S EASY!!! Guess who creates 99% of the sales in YOUR MARKET?? Real Estate agents with clients! plain and simple! If you need some sales, get some clients, use the tools we’re giving you. Turn things on. NO EXCUSES. get after it with your marketing. My hopes are that those new habits will include lead gen implementation strategy that feels new yet comfortable through simply following the Franchise Prototype we’re teaching you. I’m looking forward to a discussion with her next week to see if she took my advice. Sometimes a push is all it takes. I have ultimate respect for Craig and Catherine Proctor who’ve unselfishly shared with Carol and I a much better way to work and live since I met them back in 2000. I could not be more grateful for all their aid and advice over the years, even knowing that at first I was a royal pain in the a** for Craig. As I went through the Coaching, Graduate, and Platinum programs I commandeered as much of Craig’s time as I could. At every SuperConference I found, sat, and talked with Catherine about Craig’s business. (she’s a system genius by the way) I used to go on the Tuesday intro calls just to get an audience with Craig and ask more and more questions. However, on some occasions I was on the receiving end of a tune up when I complained it wasn’t working the way I wanted it to or if I moaned about not understanding something. Craig has been patient but firm with me over the years dispensing the advice and correct information. He’s never let me down, never lied to me, never asked me to experiment, and thankfully, never told me to buzz off!! Take this to heart, you can gain the same mastery as our most successful members, if you apply what your learning and MAKE it work. Just get after it, Just do it, get the marketing out there and watch it work. Look at your numbers, track the results, KNOW what the marketing is actually doing. Don’t settle for one ad, settle for 25 ads and then 25 more. Run lots of them all at once, saturate the area and media sources so you have no choice but to create reaction, then collect the marketing data, look at the reaction to your marketing message, get as many prospects in waiting as possible to call your Hotline and listen to what they say about your marketing message or offer. Use as many media outlets as you can find, take it to the highest level and make things happen. A huge majority of the Inner Circle and Coaching e-mails that come in over the course of a month are ‘marketing’ related. The vast majority of our new members are relatively inexperienced at marketing and creating lead generating campaigns vs. just placating sellers is something that actually is a bit of a challenge. This month, Rick’s post looks at the practical side of creating opportunity using a marketing strategy. Here at RR we’re all about sharing practical advise and sharing examples that come from our most successful members. This post does that, it also references the Hotline technology that Rick used for years in his successful business. Our affiliate partner for that technology is Automated Marketing Solutions. At their office, speak with Amy if you have questions about how to correctly install that tool into Contact them at 800 858-8889. For our elite coaching members here in Canada, those working one-on-one with Craig and his coaching team, I hope you enjoyed a great Canada Day on July 1! Same goes for our members in the US – Happy fourth of July. The good news is that finally summer is upon us and with it all the great traditions that make us smile. BBQ’s, vacations, summer camp, the lake, the beach, and so much more. At my house, for Canada day, we have a yard full and we BBQ. It was GREAT!! So over the past few Coaching calls with Craig we’ve earnestly tried to get you to slightly adjust your perspective on many of your day to day activities as a hard working Realtor. A lot of discussion has centered around the marketing and advertising you do and why the format likely needs to change – simply, a strategic marketing campaign should have sole purpose of “GENERATING LEADS”. We’ve tried to get you to see how this strategy should fit in to your business model to enhance what you are already doing. As an advocate for a marketing based, lead gen strategy, I can’t stress enough how critical it is you implement these ideas sooner rather than later, especially if you are in need of a commission cheque or two and you really need MORE opportunity to sell. The vast majority of you have been sharing your marketing with us, attending the Ad Clinic WEBINAR SESSION (something we’ve done for almost 20 years) every Friday at 11:00 AM, uploading YOUR marketing pieces along with the results and I commend you for that. Remember, along with teaching you the value of marketing for your leads, we’re also encouraging you to become diligent marketing analysts so you can understand and know your local trends. As you’ve heard Craig and I say – knowing what’s trending locally gives you an edge when preparing a marketing campaign. So, building on that, for today’s discussion, lets talk marketing…. It’s a great discussion, one I love to lead every chance I get. Now, remember how we’ve discussed how that much desired, multi-layered marketing approach you’re working towards should eventually look? Recall from those discussions that there was more than one idea that we should be pursuing for the sole purpose of generating a lead….well let’s dive in to that just a little more today. Let’s choose 2 established, well used real estate mediums locally – you decide which two – but for the sake of this exercise, lets choose one that’s off-line and one that’s on-line. But, which two Rick? Maybe choose the newspaper locally that carries real estate ads but probably NOT your big daily – it’s very likely too big covering an entire state or province or complete population (LA Times, DALLAS Morning News, Toronto Star, etc) and too expensive. Use something smaller, weekly, freely delivered, that gets delivered to the area locally that’s creating the highest turnover in sales. For the on-line medium, most areas have a locally run classified site that has houses for sale. Often you can use the local newspaper on-line classified site in conjunction with the paper ad. Again, trying to use something used by YOUR local prospects. Craigslist style classifieds are the measuring stick though many LOCAL sites aren’t as badly saturated as Craigslist. Remember also that you’ve already been engaged in those types of ads, and even though you did some business because of them, it didn’t produce sustainable and repeated opportunity to your business. Remember, to get prospects to respond, GIVE THEM EXACTLY WHAT THEY WANT, NEED, OR ARE LOOKING FOR!! This isn’t rocket science, it’s logic and common sense…A buyer wants a deal – give them a deal then tell them how to access a bunch of similar deals. Now create a simple, short, emotionally charged caption that offers a prospect enough to whet their appetite for the offer you make. A wider appeal is the answer here. Include pictures. Remember, most prospects like to SEE something to make a decision. Stats tell us about 70% of prospects are visually oriented so the pictures help to draw them in to the ad. Media is usually “visually” oriented, people go to their screens to see pictures and be lured in by how things ‘look’. Off line, with classifieds, display ads, ear-lugs, and editorials, you’ll create more calls in to hotline that you will from the ON-LINE source. Get ads like this one running in 8 or 10 mediums locally and voila – instant LEADS! If time is on your hands, post like crazy, experiment with a few word changes but TALK TO THE MARKET. It’s listening, and if you offer if, they will ask for it. How many relevant marketing campaigns can you run? Two? Three? Four? I’m sure we could find a couple of great selling market sectors that would easily deliver up leads if the message simply called out to the movement of sales, listings, and buyer activity, the logical conclusion is participation in the answer gathering activity your provide to prospects through your marketing campaigns. As many of you know, our crop of supportive Relentless Realtors followers comprise some of the coolest people in Real Estate from across North America. Plus, regularily, e-mails and comments from places like Austrailia, England, South Africa, and others continually grace our inboxes… Getting engaged in many great discussions, all prodded by what’s shared here, is our goal and it’s just an extra if the advice here is of use to you, our loyal readers. Of course, we encourage communication anytime, good or bad, compliment or complaint. Continue to bring your questions, your concerns, your contributions, and your directives so we can keep presenting what we believe to be solid and candid advice to hard working, prefessional real estate practitioners anywhere the internet shines a leading light. In that vein, recently, a good friend of Relentless Realtors, David Thompson from Winnipeg Canada (www.DavidThompson.net) connected with Rick and wanted to share some ideas and techniques he’s used working with those pesky FSBO’s – you know, those sellers who think selling a house is easy, that professional Realtors are grossly overpaid, and in essence AREN’T worth the fees attached to listing and selling. His success rtate with FSBO type clients is way above normal, way above average. About David Thompson: Some of you probably already know David from Winnipeg, Mb. Canada as a solid family man and successful agent in what’s been called a “very under-valued city” in Central Canada. He and Rick met in 2001 in Orlando Florida as students at a Real Estate Conference and have been close friends ever since. Together, they’ve traveled the width and breadth of North America as both ardent students and sharing speakers. David is also a recipient of the very coveted, Quantum Leap award. After his capture by police in the 1930s,famous bank robber Willie Sutton was asked why he robbed banks and his answer was “because that’s where the money is”. If you are an active Realtor and you want to increase your productivity then you want to increase your listing inventory. If you want to increase your listing inventory then you need to create a system to target FSBOS because “that’s where the money is”. Now <two> very important things to understand before we go any further. Even if you are in a slower “buyers” market you still want listing inventory because no matter what anyone says the “best,ready to act buyers” will come from listing call spin off. I have had plenty of transactions occur off ad call/sign calls from listings that may never have sold but if you average one transaction per listing whether it sells or not that you will never have a cash flow problem (more on how to do that in my next <post>). The second thing to understand which is very crucial is that when I say “target listings” I don’t mean chase after them. Actually I mean the opposite: have them contact you. (read that last sentence again). Folks it’s called reverse prospecting and it works and has worked for many years and that’s not all….the good news is that it is not market based, it’s human nature based so I don’t want to hear ” that won’t work in my market”. What,you don’t have humans in your market? <please know> I didn’t invent this idea at all, I learned this from studying Craig Proctor’s Quantum Leap System (www.TheProctorProgram.com) for over 10 years plus I have studied the subject of FSBOS for 25 years as an active Realtor and been on for sure thousands of direct contact FSBO appointments so while I don’t know a lot about a lot of subjects this is one I feel qualified to speak about. The reason I targeted FSBOS in the first place was because when I first started and the Realtors who were giving me “guidance ” explained the way to get business was to either call people randomly out of the phone book and ask for business or to sit in somebody’s house on a Sunday for 3 hours, these just didn’t seem to make sense to me. I thought why would I cold call people out of the phone book when there were tons of people in my market advertising their homes for sale every single day of the year? Why would I make 300 random phone calls to find a needle in a haystack when their were people who were standing on their roofs waving a red flag to tell me that they were selling their home and needed my services – they just didn’t know it yet! And then I realized that these “mentors” in my office did not teach or encourage me about FSBOs because they perceived that there was tons of rejection involved and that many other Realtors were calling these people. Both of those things may be true but the good news is this can be done with zero rejection and can be done in such a way that nobody in your market is doing right now. The other very cool, and in fact, very powerful thing about the concept of reverse prospecting is that not only does it work like the name implies (prospect contacting you) but it does something even better-it changes the POWER DYNAMIC between you and the FSBO. Every FSBO feels they have the upper hand in this relationship because every eager Realtor in their market is calling them with every pitch in the book. But when they contact you everything changes. You immediately have the upper hand in this relationship and the prospective client has given it to you just by virtue of the action that they have contacted you. You have created such an effective and compelling reverse prospecting marketing piece that it makes it virtually impossible for them not to pick up the phone or send you an email ASKING YOU for an appointment. What is this one – two punch that makes these most difficult yet lucrative prospects compelled to contact you instead of the other way around? Keep following Relentless Realtors for my next <post> to find out the EXACT answer to my proprietary system that I have developed, tracked, and tested and find out what my “real world” and documented results are and then start implementing it yourself in your market. PS… Oh and do you have a system for pre-foreclosure leads yet? I have one of those also in case you have any pre foreclosure situations in your market……..
2013 Plods Along – Hows it Shaping up for YOU?? An idea that comes into our brain every year in November of Decemebr is the fact that it’s time to sit down, look at the years numbers as the years comes to a conclusion and start planning for the year coming up. But as we progress through the year, how many times do we actually pull out that Business Plan and see if our excution has been strong enough to actually attin the goas we set forward – both weekly and monthly? Hi everyone, Rick here with some things to think about as we slide into a new month. It’s all about working ON your business, not just IN it. We’re getting VERY close to the Anaheim SuperConference event in June, June 6-8 to be exact. If you haven’t registered yet PLEASE DO SO today and make plans to attend every session. This hotel is right at Disney so lots of our members make a week of it, bring the family and do the whole Disneyland experience for a day or two prior – if my kids were of that age, that’s what I’d do. Call Tina for your room – 888.871.3876 ext. 225. It’s April, in fact April has almost passed in to the memory banks. As many of you remember, when we started 2013, one of the things I was really fussy about was the importance of working with a Business Plan. Remember? I harped on that for a reason – so we could see and understand the path we needed to be ion. Hopefully it’s STILL sitting on your desk and you are referring to it on a regular basis. I hope you look at it every month as you do your month end. That very personal business plan keeps you in check with a number of key things – ALL related to that road map you established taking you from January to December with a list of predetermined accomplishments accomplished!!! (what a mouthful!) If you recall, creating a deal a week was a GREAT goal for 2013 and through the analysis of how to do that, you established working criteria. SO…HOW CLOSE ARE YOU ADHERING TO YOUR SUCCESS CRITERIA? How many layers of marketing are you working with? How many leads are you creating every week? How many of those leads are you speaking to? How many of those “spoken to” leads are you meeting with on a regular basis? How many BUYER meetings are you doing each week? How many SELLER meetings? How many BUYER files do have you gained as a result of those meetings? How many listings do you have? What’s your lead to meeting to client standard now (10/4/2)? Or, is it all hit and miss? Hopefully not. How many closed deals do you have this year? I sincerely hope you are using all the tools we’ve provided you to get good, relevant working data so you know what’s up with your business, your lead gen marketing strategies, your conversion efforts, your face-to-face meeting success, your ongoing client management, and (obviously) your income. So, looking honestly at the questions above, how close are you to your 2013 BUSINESS PLAN? BUSINESS PLAN – ACTION PLAN! NOT ENOUGH LEADS probably means NOT ENOUGH MARKETING or the WRONG MARKETING MESSAGE is being used. Restudy the stats, check the local selling and buying trends and adjust your message. If every time you run a campaign you get leads that means you are balancing those three critical things – the Market, the Message, the Medium used. But if the leads aren’t enough, you should add a layer or two of marketing using the same or a very similar message. NOT ENOUGH APPOINTMENTS probably means you aren’t getting proficient with the Universal Call Back Script. PRACTISE, get on to EVERY Thursday’s role-play with James, Craig, or myself, PRACTISE with your friend, partner, or spouse. Start by memorizing the words, then internalizing them so they easily drive the conversation you have with a prospect. Then, once you ONLY use it, you become a master and your rate of appointments easily goes UP. So, again, if you simply need/want more leads, GET YOUR MARKETING ON STEROIDS, plain and simple. Here’s a partial guide as to where you can find prospects using a direct response, relevant message. CRAIGSLIST, KIJIJI, BACKPAGE, ETC. : Ok, right out of the gate I’ll tell you that to really make the on-line classifieds work, you have to put the time and effort in. Craig has said it a hundred times, these are NOT the be-all, end-all but they DO create leads when the mediums are used correctly. Our best members, who create lots of opportunity with these on-line sites post numerous tomes a day, have 50 or 70 ads in their account all reflecting what’s going on locally. Use this on-line source for sure but be posting ALL THE TIME to keep your ads front and center. Once you start to get leads from a campaign on line, spread that campaign and message out over a couple more mediums because you’ve tapped in to the local trend. Keep your ads fresh, change your pictures, be VERY conscious of your headlines, and KEEP POSTING. Yes you’ll get flagged sometimes, maybe even ghosted (usually caused by other agents), but be patient, don’t take it seriously, keep going and stay calm! NEWSPAPER: Local, free delivered to each house in a geo area should be good source of leads if it has Real Estate advertised. A classified, a display, an editorial, a couple of your listings, a banner ad, notice of your Sunday tour all work and grab the attention of the looking prospects. Use an attention grabbing headline like the paper does. Use a Hotline in your ad to get prospects calling and asking you for what you’ve offered – a list, a report, a feature sheet on your listing, whatever makes sense for YOUR local market conditions. DIRECT MAIL: A direct mail campaign using a direct response postcard or a direct response flyer should be sent to a high turnover area that’s seeing great sales, lower than average DOM, or sales that happen in a matter of days when a house goes up for sale. Choose the right neighbourhood based on the MLS stats or www.QLSystemStats.com and put that direct response piece of mail in the mailboxes every 2 weeks. GOOGLE ADWORDS: About 90% of all transactions START on-line with almost all enquiries coming via search engine. Makes pretty good sense for us to be there with a very relevant campaign that matches the commonly used search words, terms and phrases. Call Success Website and turn it on today with a good working budget. i.e. : If a “Homes For Sale in <city>” click costs $1.50 and your budget for the day is $5.00 you will only get 3 or 4 clicks and you are done. Use a decent working budget and try to use terms and phrases used by the public that don’t cost as much. FACEBOOK PPC: Again, a simple, very scientific way to choose a section of your local network (you can eliminate teenagers and school kids completely) to present a direct response message to that appropriate audience. It’s simple, inexpensive but effective that easily reflects local trends as determined by a study of your MLS. Sit down and create 3 ads today that speak directly to the busiest sector of the network/market you work in. As you’ve learned, DRIVE that traffic to the appropriate landing page in your LESS BRANDED site. FOR SALE SIGNS: Does your sign simply say “FOR SALE” or does it actually create some sort of enquiring. curious traffic through either a sign rider, a hotline, or both. Why not create simple FEATURE SHEET REQUESTS or make the “Every Day Open House” offer on your signs. Don’t waste a single sign – get a hotline rider out there or the Trade Up sign rider and get those prospects doing something, going somewhere other than your office or cell phone number. DATABASE: What message do you put out to your database? If you have anybody in your database that has NOT bought yet what message are you sending them? Distressed property list? Home evaluation promise? Area sales report offer? Six mistakes to avoid BEFORE buying report? Eleven inspection traps to avoid? Send your database a direct response e-mail or letter once every 2 weeks just to get them moving. As well, use your MONTHLY NEWSLETTER to keep in touch with them, it’s full of hooks to, again, grab the prospects attention and get them directed back to a hotline or a landing page. What are you doing with your listings? Remember to highlight those as a marketing hook as well. Get a HOTLINE in that marketing, compel a prospect to call in and listen to a QUICK, PRE-RECORDED message to obtain more info. In your script let them know they can get a fully-loaded, full colour feature sheet with ALL the details, pricing information, and book a private showing just be leaving a request at the end of the message. Remember, what do buyers look for? Pictures of houses for sale and lots of them! Run constant marketing for your listings. Create easily obtained Feature Sheets/ Flyers with ‘other’ offers built in as well – lists, evaluations, subsequent reports, USP promises, etc. – all over and above the features of the listing. Your best strategy for a listing is to get interested people to ASK FOR MORE once you’ve strategically whetted their appetite through a carefully worded, emotionally driven, brief description instead of feature dumping every conceivable item the house has which only eliminates prospects at the outset. There’s lots more ways to run inexpensive marketing that gains leads but, as always, the key is to DO IT. Prospects react when they see a solution to their issues by simply following the trail you create back to your website or your Hotline. Every now and then, a simple bit of advice seems to draw in a collection of comments. It’s often said that to rejuvenate a career, GET BACK TO BASICS. Regular readers of this forum will see the simple methods top producing agents can easily use to stimulate growth, enthusiasm, and, ultimately, sales. The note below that Rick shared with some hard-working agents created a myriad of comments and requests for more similar posts and advice. As such, we thought it would be good to share part of it publicly. In essence, what you’ll likely conclude from reading this is this: Tracking the effectiveness of every system you’ve built to better your business is a good decision. In fact, it’s just common sense to track any system you’ve delegated to ‘real time’ operation. For this post, it’s our inbound lead generation and the conversion success we want to keep an eye on. As you’ll read below, it’s simply to see if it’s getting better, getting worse, or staying stagnant. Hi Everyone, I’m a little behind in my written communication lately, just too much to do and not anywhere near enough time to do it. I hope this note , finds everyone busy, happy, and working hard. So this is about 2000 words or so about the conversion of your inbound leads…. One of the things I just want to reiterate with you is the supreme value of seeing, knowing, and understanding what your lead gen and lead conversion numbers tell you about your business. I believe most of you have a copy of my LEAD TRACKING SHEET, if not send a note to Requests@RelentlessRealtors.com to get one and we’ll make sure you have it to work with moving forward from today. PLEASE USE IT or something just like it. Mine here isn’t very fancy or exciting but it serves the purpose well that I designed it for a few years ago. It helps you stay on task day after day, week after week with identifying what’s going on with the marketing and conversion foundation of your business. In my mind, from an entrepreneurs perspective, YOU SHOULD KNOW THESE NUMBERS. The whole purpose of using it is to help you progress with your lead gen business model. There’s 5 (FIVE) revealing but critical columns you work with every day, every week, every month. Print it off now if you haven’t already or reach over on your desk and grab your copy. LEADS GENERATED: Remember, the basis and foundation of our program is to constantly improve and get close to an AUTOMATIC system of creating inbound leads day in and day out. For new readers, ‘Automatic’ means it runs WITHOUT us chasing and begging people constantly, something performance driven, Relentless Realtors have ZERO interest in doing. This FIRST column lets you see your day-to-day results of your marketing efforts. As I started out on the Quantum Leap system I didn’t have too much trouble creating leads. Easy to do when you study the local scene to determine just what’s trending. Just create something similar to the driving forces and voila!! leads – however, keeping track of tyhem all quickly became a task unto itself and unless I did a good job of that, I would have never been able see any improvement, growth, or change. 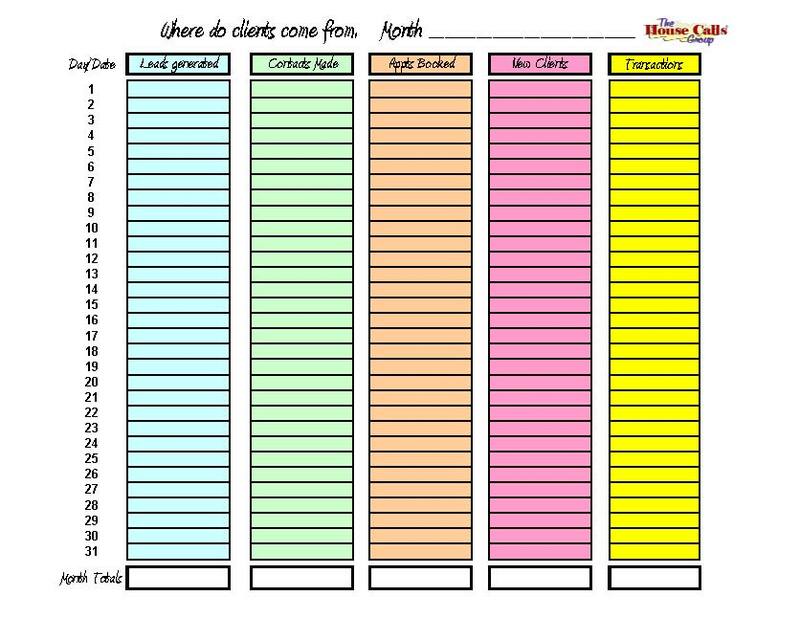 So, I worked with my TRACKING SHEET every single day for 4 years as I learned to become an adept marketer. Some days my sheet revealed I got ZERO leads. 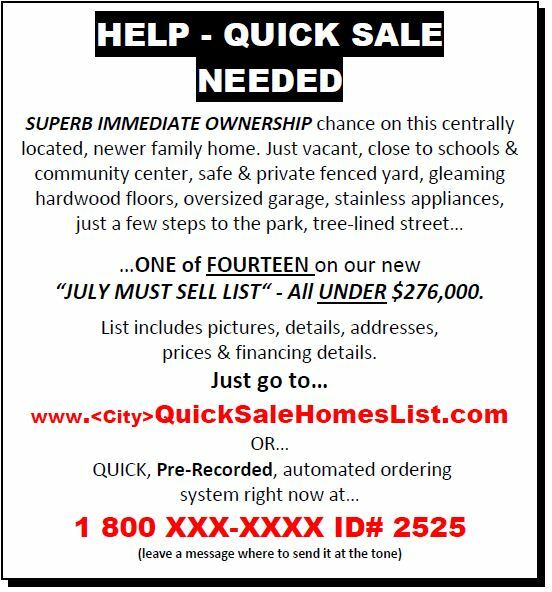 Other days, like Thursdays and Fridays, with the release and distribution of our Real Estate newspaper and my full page ad, I got 25 or 30 requests for info, much of it simply for feature sheets on our listings. Same thing after the magazines were released during the first week of every month – huge bump in leads because the ads were new and fresh. What really matters here is that we KNOW when and how many. Beyond this scope, a little more behind-the-scenes research told me WHERE they were coming from but importantly we could see the daily and weekly trends and the fact that we were getting leads and requests etc. Our month-end procedure included a completed and reconciled copy of that sheet. It often had coffee stains and was usually was doodled and scribbled on, not to mention all the notes scribed on it but it served it’s purpose, kept my brain in the loop about the important numbers in my marketing backbone. Don’t minimize the value of working with this sheet EVERY day to literally SEE what’s going on. CONTACTS MADE: Here, we simply detailed how many people we spoke in a day. Over the course of a week, as the first line of attack in our inside sales efforts, I made the majority of the calls, creating those communication lines directly to our prospects. I know many of you have commented that I seem very comfortable with the script, the objection handling it creates, and an easy, seamless transition in to an irresistible offer for a buyer or a seller to take advantage of. Thanks for the kind words but it’s only from DOING it over and over again that I gained a comfort with the words. Craig showed me years ago that mastering this one four-minute conversation was a crucial distinction to keep working on. Truthfully though, as I’m sure you know, sometimes I completely blew it. I may have misread the personality type of the person I was speaking to or missed a comment made, or just got off track because I was distracted. I’ll admit it, I’m human, like everyone else. Sometimes I got hung up on, sometimes I did a terrible job of asking for the appointment. But guess what, I stayed the course with the Universal Call Back Script and did it and did it and did it until those words were completely burned in to my brain. It ended up going WAY beyond memorizing; it was more like internalizing and mastering. The best athletes in the world practice and practice for more hours than they can count. Phil Mickelson says he’s hit more balls to perfect his short game than anything else. He claims to have no idea how much he’s practiced that facet of his game but he’s one of the best in the history of golf inside of 100 yards. To learn the Craig’s methods I did the role-play clinic as often as I physically could, I ran to the mic to get tuned up on the script by Craig in front of 2500 people whenever he asked for volunteers, (since 2000 I’ve never missed a single SuperConference) role-played with my team, my friends, my wife, myself in the mirror, I would have role-played with my dog if she had been able to sustain the conversation (I would have done that privately though, as I likely would have been committed to a mental ward if my wife caught me talking to the dog that way!! ), we even have a long time friend/member/student who will look at you wherever you are (at a game, in the bar, in the Hot Tub, ANYWHERE) and say: “Hey, wanna do a role-play?” I almost always did and all it did was get us better at the art of conversion, the number this column wants inserted. So, sorry to rant a bit there but in this 2nd column, at the end of the day we simply inserted that number in the box as to how many people we talked to . I would insist that any agent making calls in our organization did the same so we could see their growth and also track our numbers. I did have to bug our agents to get their month end reports in if they made calls but it helped us see how we progressed at the actual “conversion’ part of the process. APPOINTMENTS BOOKED: Exactly as it says, this is the number that reflects the much desired progress and effectiveness with the conversation formula and method using the UFUS as it’s theme. This is “Conversion One”, lead to appointment. Creating appointments with worthy prospects is the reason we continuously run relevant, attention grabbing marketing that creates AUTOMATIC IN-BOUND LEAD GENERATION, it’s the reason we call leads back them and talk to them determining their timing and motivation, it’s the reason our Universal Follow Up Script was developed and perfected. How many face-to-face meetings can I create? Seeing THIS number let’s me see how well allows a pointed understanding of how good we do with Conversion One– LITERALLY! It also shows you statistically how you’re performing and let’s you create a statistical standard to work towards and beyond. What’s YOUR standard NOW? What was it before, what are you trying to attain in terms of a higher standard or, more importantly HAVE YOU EVEN DEVELOPED A STANDARD?? Every successful business holds itself accountable, pursues attainable standards. So, that means you MUST become accountable to these numbers. Here’s the starting point which, by the way for a good lead generator/converter is very conservative. Start with this: 10/4/2. (By the way, the higher THE LAST TWO NUMBERS, the more $$$ you make, real easy math on this one!) The next column on our sheet is where you see if you’re getting there. CLIENTS GAINED: So, this column allows reveals all about Conversion One and your accountability to both your lead gen efforts and, ultimately your bank account. It’s also a clear indicator if you are really working towards constant improvement and sustainability. It also reveals, as mentioned above, as to whether or not we’re just gliding along. Here’s how to really interpret and begin adapting to this 10/4/2 standard I mentioned above, this is what it means: For every 10 (ten) leads generated make sure you create at least 4 (four) face-to-face meetings with prospects. Finally, from those 4 (four) meetings be SURE you create at least 2 (TWO) “client relationships”. On your daily line, do the math and set a standard. This is a crucial distinction in your business. At least you’ll know now and you’ll have something to build on moving forward. Remember if we don’t grow and improve, we stagnate which eventually causes shrinking to start. TRANSACTIONS: Pretty straightforward understanding of what this represents. Just put them in to reflect the month. Now, I know that many of you are working diligently with your lead conversion. Just so you know, that’s HUGE for your business and I commend you for all you’re doing. Remember, being resourceful and versatile with your follow-up efforts is a crucial distinction that you should make and KEEP making. Keep track, put your notes in your CRM, and always be working towards improving – no excuses, be sure to SEE what you are doing rather than guessing or wondering. We’re keen at RELENTLESS REALTORS to share relevant career adjustment formulas for busy, focused Real Estate professionals. It’s not ALWAYS about listing contracts and open houses…In this post head writer and Quantum Leap performance coach, Rick Brash, discusses the importance of standing back, looking at your business, and creating a formula for success that’s based on an already proven method. It’s simply an excercise in “copying what works”. It’s a similar science to what small, rogue but successful drilling companies call “CLOSEOLOGY”. They simply buy up a drilling lease close to a producing well, avoid the high engineering and geoligical costs and tap into the same produciong oil field thousands of meters below the surface. For three key days in February, Craig Proctor in conjunction with his elite coaching team sat with a group of driven, performance hungry real estate professionals who came together for the sole purpose of bettering their professional skills. It was a deliberately smaller but intimate gathering that Craig arranged, however the strength and strategy of the event are almost overwhelming. If you are reading this, you were probably there, if you weren’t, well, let’s just say you really missed out. We talked extensively on the fundamental requirements for managing and succeeding with lead generation, lead conversion, getting buyers bought, getting sellers sold, the REO trends, growing a real estate business, understanding ourselves better, making the most effective listing presentation, how to really work with a buyer, how to market listings for leads, how to work with Google PPC, how to use a website effectively, how to implement a proven hotline strategy in to your business, how to hire help and who to hire, and a whole lot more. So, one of the major discussions we delve in to at our event is the ease with which an agent can learn to create opportunity in his business. I define ‘opportunity’ as a means of earning or creating revenue. Every business floats because of it and sinks very quickly without it. Let’s face it, as real estate selling professionals, we need a constant supply of revenue generating opportunities. Most commonly understood, they come in the form of sellers allowing us to help them get a home sold and buyers who allow us to represent them in their quest to buy a home. The accepted understanding of this is that from the sales we participate in, a commission is offered/generated, a portion of which comes our way – revenue!! It’s those ready-to-go buyers and sellers we want more of – I refer to them as opportunities. I know that sounds a little cold but let’s face it, it’s an apt description. Now I’m more than aware of the fact that the vast majority of supposed ‘opportunity creation’ trainers and self proclaimed guru’s continue to extol the virtues of hand-to-hand combat style prospecting. You know what I mean, they recommend and promote the methods closely related to door knocking, database chasing, pumpkin delivering, cold calling, completely ineffective open house format, and creating reams and reams of expensive image advertising, personal brochures, and very beautiful but completely pointless websites. These methods, most of which were conjured up in the late 60’s early 70’s have long since had their day yet are the make-up for most new agent orientation programs we see today. When you’re deciding to work with someone that makes great claims, simply ask them if they’ve ever sold real estate for a living? Almost all of them will skirt the question because they haven’t. Then there are those that have come through our program, quietly stolen Craig’s ideas, proven methods, and tools and then brazenly gone public with statements that they themselves pioneered the methods and techniques arrogantly refusing to acknowledge that Craig created them. As an example, recently I listened to a recording of an introductory call conducted by a ‘newer trainer’, a guy just getting into the training arena full time (someone I know and have worked with in the past) who blatantly said that he not only used and helped create the Craig’s Guaranteed Sale for Sellers program, he actually gave Craig some pointed instruction on how to make it better. Just a silly and ridiculous claim. No one knows how to work that program better than it’s originator, Craig Proctor and he unselfishly taught thousands of agents in 13 countries worldwide how to use it to their (and their clients) advantage. So, as I said earlier, confirm the track record of anyone you choose to work with. In fact go ahead and ask them if they’ve ever had an association with Craig Proctor. You’ll find yourself surprised at the answer because they very likely have. The reason people continue to hijack and steal our methods is because they work so well, much better than the worn out, mind numbing prospecting bad habits engrained into the industry. Here’s what I can tell you about this association with my mentor and good friend Craig Proctor: I made a deliberate decision to work with him because of his stellar public track record. He was able to sell in excess of 500 homes every year for many years and was the top RE/MAX agent in the world on more than one occasion. He was willing to teach me his stuff, his methods, his mindset, and he was willing to do it patiently with a guy like me that essentially had no education, and a dismal record as a Realtor. Lead generating, DIRECT RESPONSE marketing aimed at Opportunity Creation should always: A) reflect local Real Estate trends and: B) use a DISTINCT and correct Call-To-Action. Simply put, it’s Craig who pioneered the science and skill of MARKETING for leads using an automatic and fool-proof method for Real Estate professionals. Gary Keller, CEO of Keller Williams, the ‘Keller’ in Keller Williams, recently said publicly that not a single other trainer working today did a better job with OFFER RESPONSE (direct response) marketing for the sole purpose of Lead Generation than our coach and mentor, Craig Proctor. No matter WHAT you read, hear, or see others doing, Craig was the one that gave this skilful art to EVERYONE else who claims to have figured it out. Learning and adapting the three things above had a profound effect on both my life and my career. Everyone should learn and adapt these lead generation fundamentals if creating an abundance of opportunities is on your to-do list. Can you copy something already proven, already tested, already working with great results? Do you see the GREAT BENEFITS in working closely with a master real estate mentor like Craig? I hope so. Just saying yes to that question indicates a level of humility (that means you are teachable) that can and should serve you well. Over the next few issues I’m going to share with you some specific things that you SHOULD be copying if creating opportunity is foremost in your plans right now. Next month we’ll look at how a simple market study can easily create the foundation for a killer marketing campaign that endears oodles of prospects to you. The END of Life as We Know it – well not really, just the end of 2012! Hopefully your year ended with a huge BANG! Or maybe it’s slowly and painfully whimpering it’s way out of your memory. Regardless of how good or bad, year end is a perfect time to take stock of the year’s results and decide whether or not all the effort was really worth it. Better “man-up” and make the distinction between “oh yeah baby, definitely worth it this year” or “hmmm… maybe I’d better do something different soon” right now before we’re waist deep in 2013. Without doubt, at this time of the year, real estate professionals need to have this look – from ALL the perspectives – and decide if they want to relive the year just passed or not. Personally, I spend much of the latter part of December simply thinking about what’s going on. Like many, I’ll go through the entire gamut of memories, plans, wishes and dreams. I’ll mentally review both personal and professional items stored in the mental bank account that contribute to who I am. Reflection over the holidays is a learned behavior for me. As many know, I didn’t grow up celebrating Christmas, never did all the traditional family and social stuff. Despite the good intentions of the season, as a teenager growing up in a relatively dysfunctional family, I found the Holidays an awkward and pretty lonely period. I don’t ever recall every looking forward to this time of year as a youngster except for the time off of school. At year end, when most families make a special effort to be together and get along, mine didn’t recognize the season and as a result, nothing was different. I also know from working with so many people over the years that not everyone celebrates the holidays the same. So I‘m not penning this to either condone or extol the holidays. But, rather, from a professional point of view, I want to encourage everyone to use part of the holidays to plan for the upcoming year. Start doing that by looking at what just concluded. Do I want 2013 to be the same as 2012? Which 2012 goals did I meet or exceed? Which 2012 goals was I short of? What was really awesome about 2012? What really sucked about 2013? What single thing would have the BIGGEST positive impact if I implemented it in 2013? Did I improve my skills in 2012 or not? Did I do enough deals to consider myself successful? Have I REALLY got my Lead Generation strategies humming, churning out the leads? Did my past year reflect a true BUSINESS model or me simply having a job in Real Estate? Did I make enough money in 2012? Have I established a DIFFERENTIATION (USP) strategy easily seen and queried locally? Did it really ender prospects towards me to investigate the benefits? Have I leveraged myself with GOOD people and GOOD relationships? It’s a given that we could fill pages with anecdotes and recommendations for making solid New Years Resolutions. We all have the best intentions as we hit the reboot button at this time of the year but without a plan, well, failure is pretty close. Planning the trip or looking at the road map is a crucial thing to do. All of us need a clear vision as we look ahead to December 2013 and see our way clear to get there. However, it’s one thing to “say” or “decide” we need more money, yet it becomes another thing to actually earn more. Success in Real Estate comes from perfecting a systematic method. Instead of just Saying “I want to earn more money” why not get really technical and tell yourself, “I want to get better at the systems and methods that earn me money so the income can flow to me easier”. So I think we should put on paper what our intentions are and then looking at a way to better systematize the effort. Take a moment right now and pull out the One Hour Business plan that we either gave you at a recent SuperConference or go to your page on the Coaching Website and download a copy so you can begin the process of number crunching. (If you can’t get a copy, send me a note – Rick@QLSystem.com – and I’ll send you the relevant pages for this article and you can start planning for next year). I always start a business planning session by identifying the 4 or 5 things I want to accomplish, in fact I start MOST idea projects this way when I have the time to sit and think it through thoroughly. I list them clearly and make sure I UNDERSTAND what I’ve written down. I also write down the implementation date down right there beside the goal so the true and real beginnings of a plan is actually in front of me. So with respect to our business expectations, lets run through the numbers but work through them backwards, this helps you understand the expectations that automatically exist once you’ve set your goal numbers. You’ll notice in the OHBP we help you break it down into the actual amounts. You need to understand clearly how many leads you’ll need to generate to accomplish enough appointments, enough sales, enough listing appointments, etc. You’ll also notice that you can come face to face with your level of success and whether or not it needs to be improved. For example, if it takes you 25 leads to create 1 sale you now know that becoming more efficient overall with your leads is a good goal to have for 2013. If you are only listing 1 out of every 5 listing appointments you go on, then add the goal of improving at your listing presentation. If you aren’t at a 75 or 80% close rate with a buyer in a Buyer Consult then, again, you can see an area to focus on. What about time management? Can that be improved on for 2013. It could be for me. I recall with great clarity how difficult I found things when I was on my own. If I wasn’t meticulously careful with my time, I ran out of it before the work was done. I recall a conversation I had with a couple back in 2004. They were swamped and not doing a good job of managing their precious time. We sat down at a SuperConference and mapped out a week in 15 minute increments to help them see the clear picture. They eventually set up their office to manage all the admin in the mornings before 11:00 AM then take some personal time. Then they’d return to work around 2:00 and focus on the things that made them money. It worked.